The process of making moin moin (as some people call it) is a little bit complicating but I will try to be as detailed as possible. 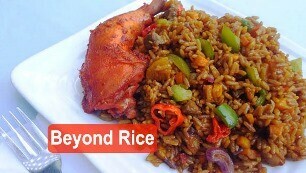 I am making videos for all the known Nigerian foods; I just want you to be able to make them easily. 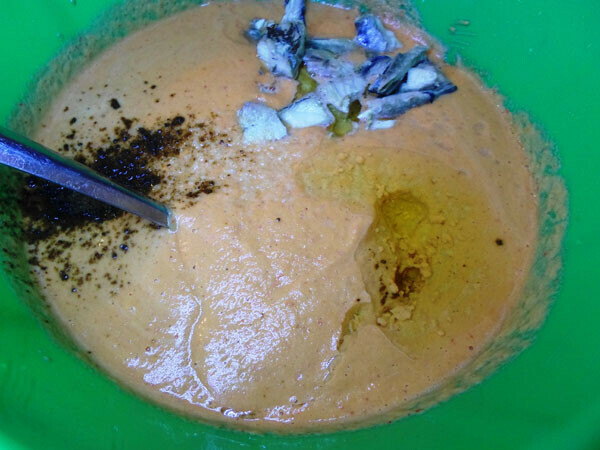 Here are the Ingredients I used while making the plate of moi moi below, you are free to increase the quantity of ingredients or reduce them depending on the number of persons you are looking to serve. These ingredients would serve six persons. What you find above are the images of some of the ingredients for making beans pudding as well of that of ground moin moin on the left and right respectively. There is a special kind of beans (moi moi beans) used for making beans pudding in Nigerian but you can substitute with any other type of beans if you live outside Nigeria. Please add the beans into a bowl, sprinkle a handful of water and start squeezing with your hands. This is the easiest way to wash beans; you would be through in 20 minutes. You can add a little more water but don’t allow it to soak; continue squeezing until it starts shading off the outer coat, you’d probably be doing this for about 3 minutes. When it seems like a good amount of the beans have shaded off their outer-coat, add enough water to fill the bowl, the outer coat would rise to the top, sieve and continue squeezing. At some point there would be just very few that have not shaded off their outer coat, work on them and keep washing. Wash the beans to remove the outer coat, keep squeezing, washing and sieving till you are left with the white beans then you can prepare for the grinding part. Below is the video that shows you how to wash moi moi beans. Most people spend their entire evening washing beans, here is how to do it in just 8 minutes. Split the red tatashe or shobo into two halves to remove the seeds at the center, this practice is necessary because the seeds add a bitter unpleasant taste to moi moi. Wash and also pluck off the green stem at the top. 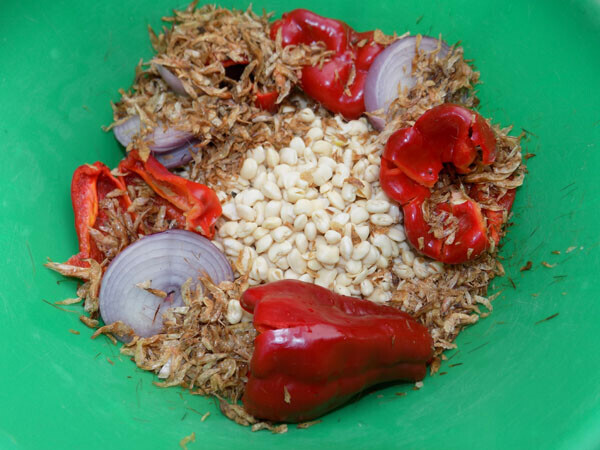 What I do at this point is to add all of them (beans, onions, crayfish and tatashe or shobo) in a small clean bucket and take to the commercial grinding mill. You can use a smart blender for this if you have one, I used my semi-smart blender and it didn’t do a perfect job but it was good enough. Parboil the fresh /frozen fish, pick out from the water then pieces the fish with your fingers, not really squashing (leave in bits) Add this to the mixture. At this point you can also add corned beef in place of the fish or a blend of both. While still in the bowl, add the oil just pour into the ground beans – about half cup, add 2 cubes of maggi seasoning, the fish water (fish stock) (which must not be over half cup or so) salt to taste. Taste the entire mixture. 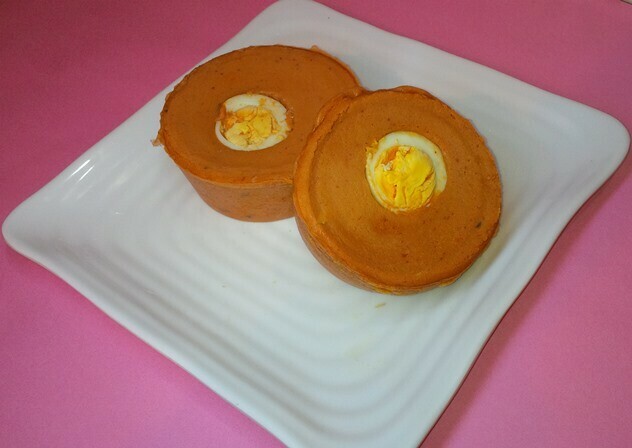 The egg can be dropped on top after the moi-moi has been distributed in cooking plates, if you want to use eggs. 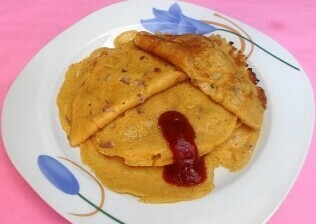 Distribute in as many plates as possible, some people use moi-moi wrappers for this purpose. After the distribution you can drop into the cooking pot. If you are cooking with plates, you can drop the plates on top of each other but you must drop tiny logs of woods or pieces of clothes at the bottom of the pot to avoid burning (some people use the stem of the moi-moi-wrapper), you don’t really need them if you are careful. Drop the plates in the pot and add water simultaneously making sure it doesn’t top the first plate. Then cover tightly and cook for about 40 to 60 minutes adding water at interval to avoid burning or too much water that would run into the plates. This part is monitored closely because if you allow the pot to dry the plates would start melting especially if you are using plastic plates. Note that plastic plates can cook for hours without melting or getting burned, the exception is when the pot is completely dried. 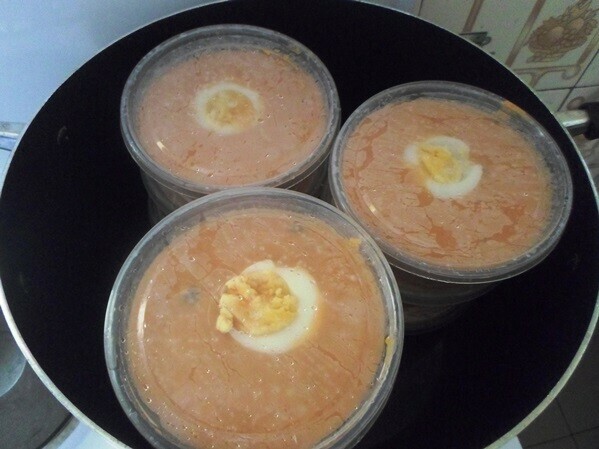 Nigerian moi moi (beans pudding) can also be served alone, I love it. 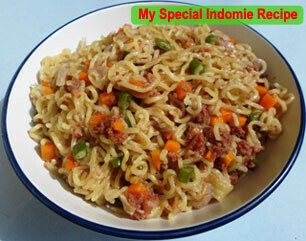 I really love this recipe dear Aunty Chy, may God bless the day i came across this site. 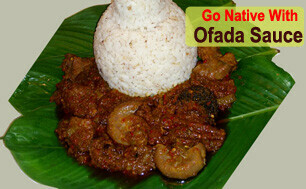 I am a young girl that don’t know how to cook most of the Nigerian Recipe but this site has really help me out. May God Bless you so much Aunty Chy. I wish to know all the recipe that a starter need and I pray that God will help me through with this site in Jesus name, Amen. Thanks. Welcome once again, delighted to have you around. It’s seen a bit complex, but I love it. It’s one of Nigeria best I have seen. I like moi moi so am thinking of going into making it for sale, as I have discovered people like it but don’t want to go through the rigors of washing the beans. I would like your advice on the best container to use for retail purpose. Thanks so much. Thanks for a wonderful tutorial. You’ve made my weekend! Hi dear, i love your site so much and i learn alot too.. I followed your recipe and the moimoi came out tasty. But it was very dark. What can I add to get the peachy colour like yours? Just follow the recipe in detail. Did you peel the beans? 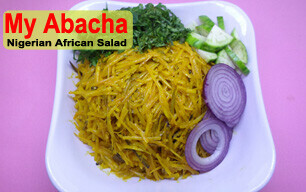 use tatashe or shobo? Moimoi should look red. Hi Chy, God bless u for every thing so far. 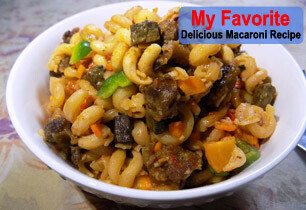 i will love to have a complete book of all kinds of rice dish, soup stew, desserts, drinks, breakfast everything. not bit by bit. i want to know the total cost so as to prepare for the order. i will really appreciate if you will reply this mail. 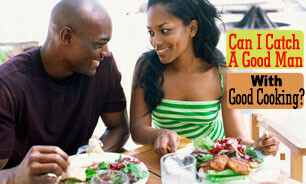 u can text me or call on 07035508969. tanks am expecting your replies. Thanks for your feedback. 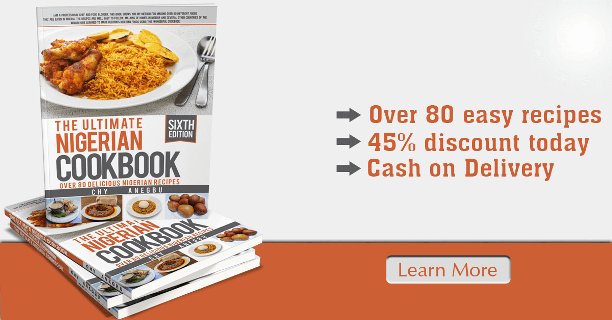 We have a very comprehensive book for soups, rice, drinks, breakfast, etc. AFTER TAKING THE LIQUID CONTENT FROM CAPRISONNE, U CUT THE TOP OF THE SACHET WITH SCISSORS TO OPEN WELL & WASH IT. U TURN IT DOWN 2 DRAIN WATER OUT. U DO SAME 2 AS MANY U WANT. 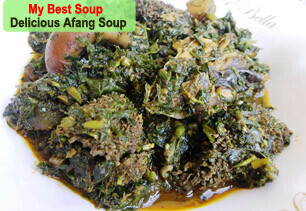 AFTER MIXTURE OF D BEANS & OTHER INGREDENTS, U POUR SOME IN2 IT & POSITION IT IN A STANDING POSITION IN THE POT. THE WATER IN THE POT SHOULD NOT BE MUCH SO WHEN IT STARTS BOILING, IT DOES NOT BOIL IN2 THE MOIMOI. CHECK TIME TO TIME TO PREVENT BURNING. 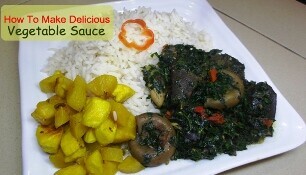 WHEN IT IS READY 2 SERVE, U REMOVE FROM THE POT, TURN UPSIDE DOWN IN A PLATE 4 A NICE SHAPE LOOK. I LOVE IT. Ch words alone can not express my gratitude to God for making me come in contact with ur blog. I luv u so much and blessed be d day I will see u face to face. Tanx so much u have made my cooking skills come alive, anytime I prepare onugbu soup my hubby always call his friends to come and have a thirst of it but not to finish it for him? . And for d weekly mail am so grateful I know it is a bit tasking financially but don’t give up God will surely reward and enlarge ur coast. Thanks for showing me how to make moi moi.